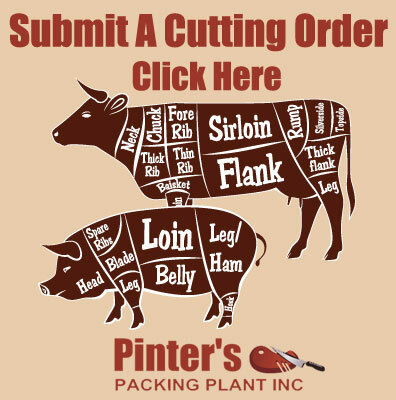 Our professionally trained staff turn our customers’ animals, including beef, pigs, sheep, buffalo, and deer, into a fresh, hot, tasty meal right on our customers’ dinner table. Each animal must be brought in one day prior to or the morning of its scheduled butchering date. There are many advantages to purchasing in bulk. 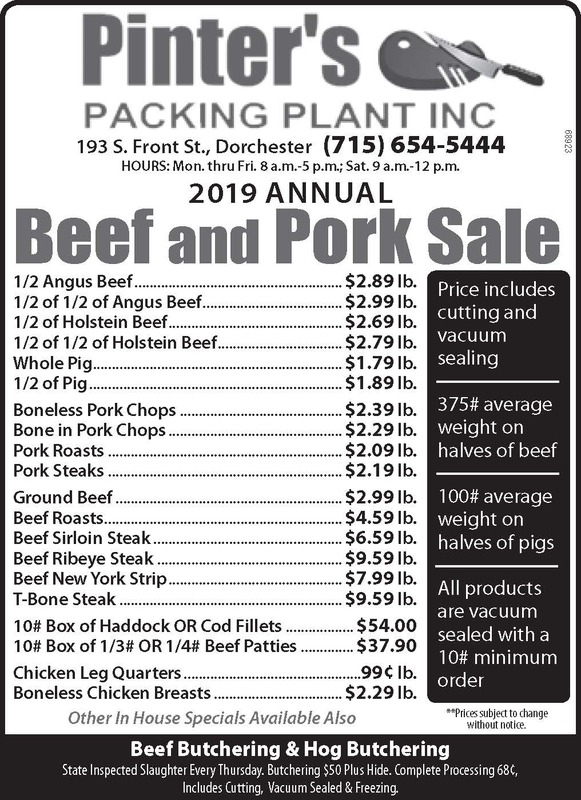 For those who are looking to save, we offer beef and pork by the whole or half. Visit our Beef & Pork Prices page to learn everything you need to know. To aid in getting animals to our facility, our team offers affordable, live animal pick up. This service is not available in all areas and is dependent upon the time of year. Please call 715-654-5444 for more information.